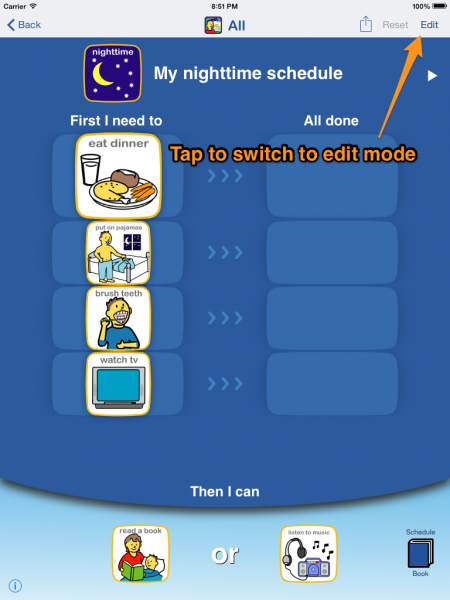 Open the schedule board you wish to edit by selecting it from the app's main screen. Tap on 'Edit' in the top right to switch into editing mode. 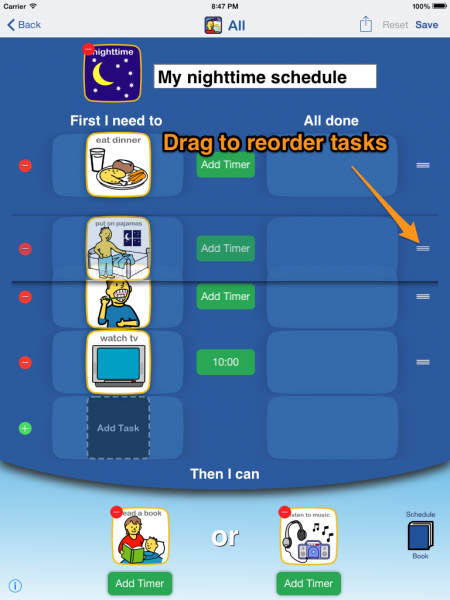 Drag the gray 'Dragger' on the right side to reorder tasks.